Since its foundation, Koen van Velsen architects has developed a rich and varied body of work, ranging from cultural to residential, from health to education and from infrastructure to offices. Each design by Koen van Velsen architects is always a unique solution as a response to a specific location, program, budget and specific user and client requirements. trademark architectural signature. Large or small, transformation or new-built, public or private: each project receives the attention it requires. Despite the variation, projects by Koen van Velsen architects also share common themes such as the integration of the building in the surrounding environment and the attention for coherence, experience, spatial quality and materialisation and detail. All projects have a strong fundamental idea in common which recurs at all levels and during all project phases: from design to realisation. 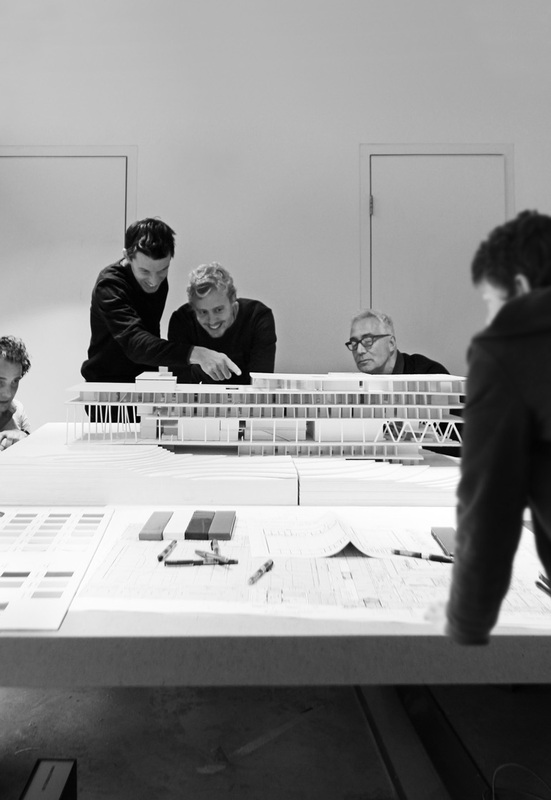 This way, Koen van Velsen architects strives each and every time to finding the best suited response to the question.